The auditorium at Tumkur was abuzz with expectation. The district and sub-district health officials from the government health services had congregated for a training session organised by Swasthya Karnataka on administrative procedures. The resource person for the day was Dr. P K Srinivasa, the lead consultant to the Government of Karnataka on implementing the National Rural Health Mission. The expectations of the participants was not so much because a senior official from the state was coming. It was because of who the resource person was; in this case, a respected and established clinician, administrator, mentor and leader within the health services. Dr. Srinivas had started his career as a doctor trained from Karnataka’s oldest medical colleges, Mysore Medical College. He had joined the state health services early and had worked in remote primary health centres as a doctor and later in hospitals. He had risen up the long ladder stretching form a PHC medical officer to the level of a Project Director of Reproductive and Child Services for the State of Karnataka more recently. After retirement, his rich experience would not be wasted; the state continuing his services as a consultant to help implement the most important initiative these days, the NRHM. Among the lively discussions between the participants and him, was one important aspect of leadership – by example. Dr. Srinivasa spoke of the fundamental nature of organisations; of adopting the values and principles of the leader. While most people are sincere in their work inherently, many others are fence-sitters, as he called them. They adopt the values of their leader. He also quoted from experience. It is critical for government services to produce such leaders, for in adopting these values of service and dedication, not only would they be transforming the way in which they work, but they would be transforming their entire institution. Such is the case of the district hospital in Tumkur. The district hospital in Tumkur is an ancient one. It is one of the older large hospitals in the state of Karnataka, having been established a year after independence in 1948. By a strange quirk of fate, the then Maharaja of Mysore, Sri Jayachamarajendra Wodeyar, who was to inaugurate the hospital abruptly left the venue, for the day the hospital was inaugurated was the day that Mahatma Gandhi was assassinated. The inauguration stone that marked the occasion today lies within the walls outside the office of the District Surgeon. The hospital caters to over 2 million people in Tumkur district, and what a responsibility to manage a hospital of such a size given such a task…. Dr. Pratap Surya is the District Surgeon, the man who is at the helm of affairs at the hospital. He has indeed a mammoth task on his hands. Being the head of a large 250-bedded hospital that sees over 1000 people a day is no joke. A random sample of the patients reveals the enormous service that the hospital renders – one of the patients from Midagesi, a distant town in the taluka of Pavagada had come in search of the ENT surgeon for the chronic infection afflicting his adolescent son. He was a landless labourer from there, nowhere else to go for him; the bus charge from his place to Tumkur and back, and the wage loss resulting from a loss of one day’s work together added to quite a burden. There was another person from the town of Madhugiri, an old man who had come hoping to improve his vision by getting rid of the haze that had recently developed in his eye, a cataract. The hospital in Tumkur has an ophthalmologist and an ENT surgeon to cater to both of them. I ran into the gynaecologist, Dr. Diwakar in the corridor. He had just finished a caesarean surgery to save the life of a mother and the newborn. In this case, the newborn was positioned transversely in the mother’s uterus, thus not being able to be delivered normally; a classic indication for a caesarean section. If the mother had not reached the hospital in time from the distant village beyond Madhugiri town, the physiological process of childbirth could have been fatal for both the mother and the child. In her case, thankfully, the newly launched service of 108 had promptly brought her in time for the procedure. The woman being from a family that is below poverty line, like almost all of the patients that obtain service at the hospital had undergone the procedure completely free of cost. The old man from Madhugiri will have his vision soon. The ophthalmologist scheduled his surgery for the upcoming batch. The ENT surgeon, who single-handedly manages the entire department will soon see the adolescent boy from Midigesi, in time for him and his father to catch the evening bus back home; he cant miss another day of daily wage. The taluka of Madhugiri could rest easy, avoiding its tryst with yet another maternal mortality, thanks to 108 and the gynaecologist at Tumkur. This was yet another routine day in the government hospital in Tumkur. Yet, it is not automatically so. A lot of effort has gone into managing the hospital. It is but easy to target government hospitals for their poor quality of care and negligence. Easier still to say “privatise”. But, when one sees the segment of people who these hospitals cater to, we understand the importance of strengthening them; and it is not for lack of effort by the local staff that these ills plague the government system. People like the present District Surgeon, Dr. Pratap Surya are the foot soldiers of health care to the masses. Neglect and carelessness in the leader could easily have a cascading effect on the staff. But, Dr. Pratap Surya, by sending the right signals of integrity, service-mindedness and discipline – he leads by example. Of course, there are problems. Why do poor people have to travel for such a long distance for an ENT consultation? Why wasnt the mother with a transverse lie diagnosed well in advance, so that she need not have come at the nick of time to the district hospital? Moreover, why aren’t such services available at the sub-district level itself? Why is the district hospital so overcrowded? Thankfully, the launching of the NRHM holds promise. The priority accorded to maternal and child health and the resulting strengthening of referral units to prevent infant and maternal mortality, upgradation of neo-natal ICU’s in Tumkur district hospital, and of course the leadership by example provided by people like Dr. Pratap Surya, one can see encouraging signs of improvement. Let us hope that the efforts of several people within the system like the district surgeon or Dr. Srinivas and many others among the Tumkur district health team will result in better quality service to the poor. Why are my patients not happy with my hospital? Gubbi is a small town in Tumkur district in Southern Karnataka. Gubbi Veeranna, one of the well-known theatre personalities from Karnataka who started the first Kannada theatre hailed from here. Historically, the town was well-known for its local markets for cotton and areca nut. As early as in 1871, Gubbi was a municipality of its own. The Imperial Gazetteer of India in 1871 talks of the monthly ‘jaatres’ or fairs which were well known for the sale of cotton cloth, blankets, rice and other articles from as far as Malnad (the mountainous monsoon-fed wetlands to the west) to the dry areas of Rayalaseema and the low hills of Arcot to the east and South. 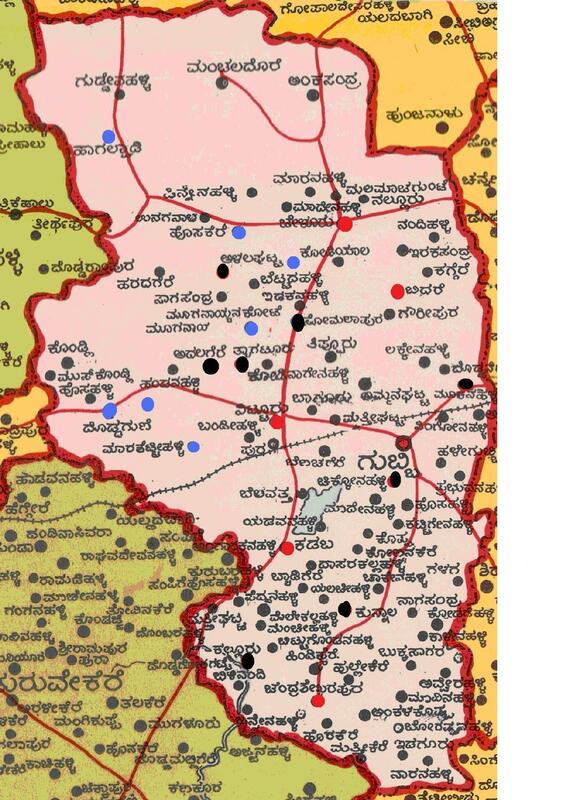 Today, Gubbi is a taluka headquarters in Tumkur district and is one of the ten talukas in the district. Gubbi is about 20 km from Tumkur and is situated along the highway to Honnavar from Bangalore, that passes through Tumkur. The taluka hospital of Gubbi is along the highway passing through the town. The Administrative Medical Officer, the doctor in the hospital tasked with managing this hospital is Dr. NL Dani. The hospital was a Community Health Centre earlier with 30 beds being upgraded now to a 100 bedded hospital. Dani is one of the participants of the capacity-building programme organised by IPH and its partners in Tumkur. Dani is a paediatrician by training with three decades of experience. He is today managing a 100 bedded Taluka hospital. His hospital sees over 200 patients in a day, is severely understaffed and morbidly overloaded. In these days of panchayati raj, he is answerable not only to his superiors in the hallowed chambers of the directorate in Bangalore, but also to the representatives of the people in the narrow chambers of the Gubbi Taluk Panchayat. The hospital provides out-patient services to nearly 300 people in a day. At a time when there is a beeline towards corporate hospitals and having busy evening practices, it is heartening to see Dani and his colleagues in Gubbi hospital providing services within the constraints they face; and these are many. Dani conducted a study in his hospital to understand patient satisfaction, as it bothered him that most of the people obtaining the services at Gubbi hospital were reporting that they were not happy with the services. Was there truth to this? The questionnaire confirmed his hunch about dissatisfaction. Presenting the results in Tumkur, Dani also shared the possible reasons for this. On an average, each doctor in his hospital sees over 70 patients in a day. Many of these, of course are specialists who are supposed to be giving a lot more time than they can to these patients that are referred from primary health centres. However, these patients needing specialist care are clouded by many others who come here for routine health problems. There is no referral system in place. Dani in his study prepared hospital performance indicators for all departments – in-patients, specialities, CSSD etc. He identified issues in human resources, infrastructure and a few other issues as key reasons for the patient dissatisfaction. He found that staff motivation was poor. Also, he was working in a severely understaffed hospital. Recruitment to the hospital happen in Bangalore. While it is easy to upgrade the beds from 30 to 100, finding the requisite support staff and motivated doctors to work here is another story. The district is helpless to fulfill existing vacancies. In addition, he found that supervision was poor. The doctors and other senior staff could hardly devote time to supervise and hand-hold their non-clinical team. Where is the time for management of the hospital? In addition to doctors not being available in good numbers, the amenities provided were also poor. Residential quarters were not available for all the staff. The hospital lacked good water and sanitation facilities. A reception counter itself was not there. This was of course a small study done in a small taluka hospital, one among over a hundred taluka hospitals in the country. However, the issue Dani identified for his study, ‘patient dissatisfaction’ is a universal phenomenon in public health services in the country today. In India today, irrational health practices and expensive health care is becoming a feature rather than a problem. Government-provided health services is the lifeline for millions of poor, who depend on these, and for whom health expenditure is often catastrophic. The reasons Dani identifies through his study are also quite representative of hundreds of other taluka hospitals. Doctors in government services work with many constraints. Staff are demotivated. There is always pressure from elected representatives, sometimes justified, and other times not. Teamwork is lacking and the work environment is not always cheerful or fulfilling. Yet, there are people such as Dani in many of the small hospitals in the country, whose toils go unheard, and whose stories go unsaid. Yet, we often see the glamour and glory that many a corporate hospital catering to a much smaller proportion of people get. Here is a doctor who in the middle of taluka meetings, trainings, reviews and visits by superiors, also manages a busy clinic as a paediatrician and is expected to manage a 100-bedded hospital for a taluka. In the midst of this, he keeps his spirit alive and did a study to understand and document patient dissatisfaction. We hope that Gubbi finds more specialists and most importantly, committed people like Dani.